Club Mudgee gave a $10,000 boost to-the Mudgee Rescue Squad’s Rescue vehicle fundraising at Sunday night’s Shannon Noll concert. Property Shop Auction in ade of Mudgee Rescue Squad and Hospital. 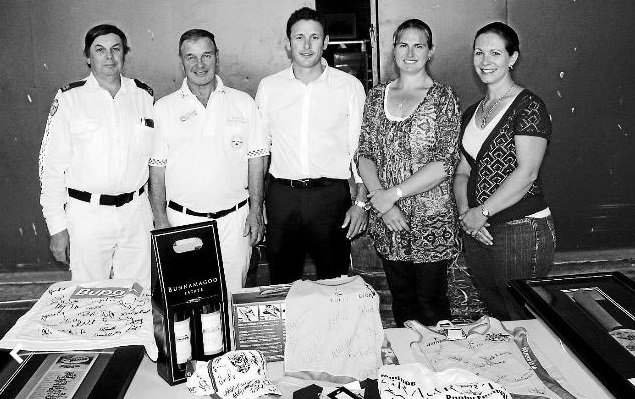 Property shop Director Andrew Palmer (centre), pictured With (from Left) Mudgee Rescue Squad secretary Garry Dollisson and President Geoff Hawes, and Mudgee District Hospital midwives Wendy Smyth and Astrid Ford, before the charity auction far Trades Night on Thursday. Trades tip in $20,000 for Rescue Squad, Hospital. The Property Shop’s Auction Night was success beyond organisers expectations raising in excess of $20,000. The annual fundraiser this year went towards the Mudgee Rescue Squad’s new truck campaign and new window shutters for the Mudgee Hospital Maternity Ward. 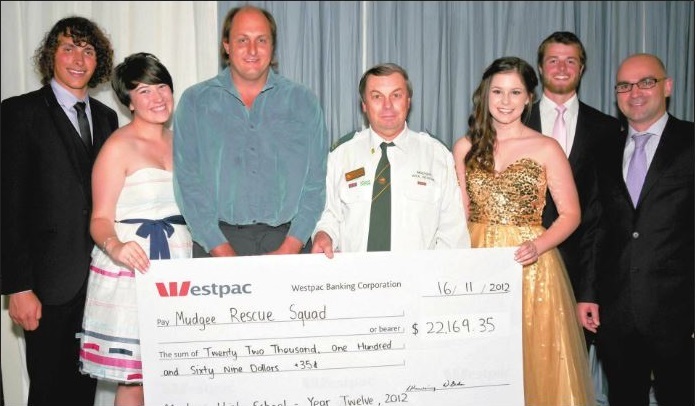 The fundraising of Mudgee High School’s Class of 2012 come to an end at their formal on Friday when the students presented the Mudgee Rescue Squad with a cheque for $22,169.35. As a year group they chose to raise money for the squad’s campaign to replace their ageing truck. 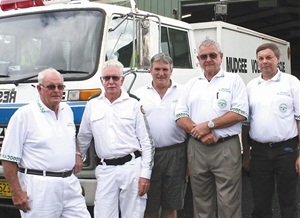 OLD TRUCK: Mudgee Rescue Squad members pictured with the 27-year-old truck they are raising money to replace. (From left) original member Keith Underwood, captain Brian Wells, vice captain and vice president Wayne Joseph, assistant admin Errol Grieve, and secretary and deputy captain Garry Dollisson. 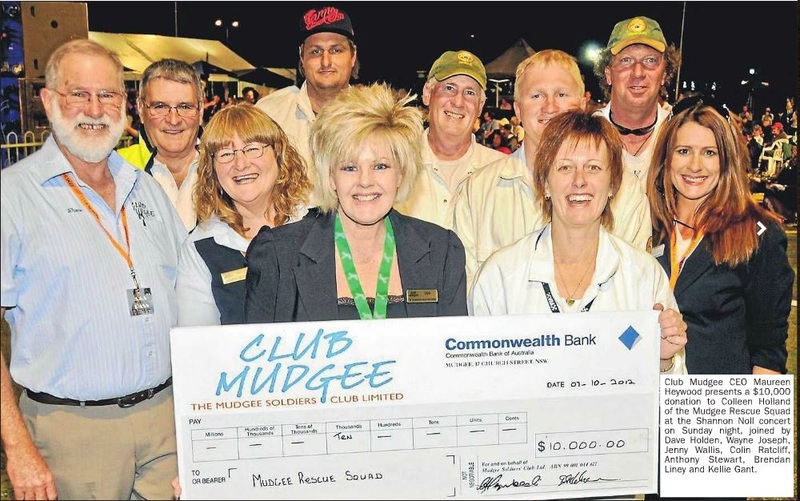 The Mudgee Rescue Squad’s campaign to replace one of their aging vehicles has received a boost thanks to the input of Club Mudgee.